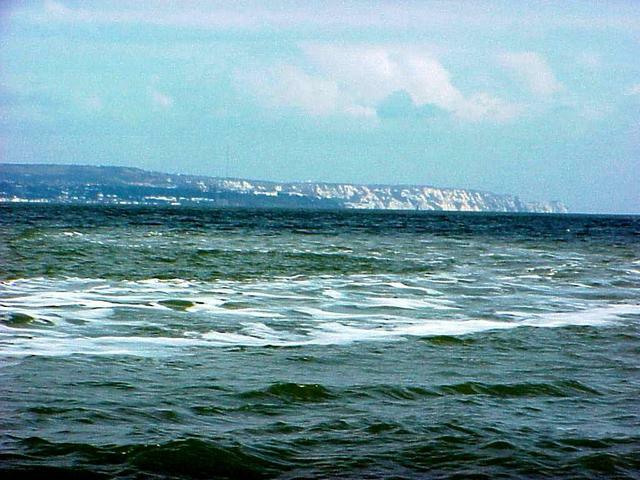 #1: View to the north at the south coast of England from the confluence point in the English Channel. 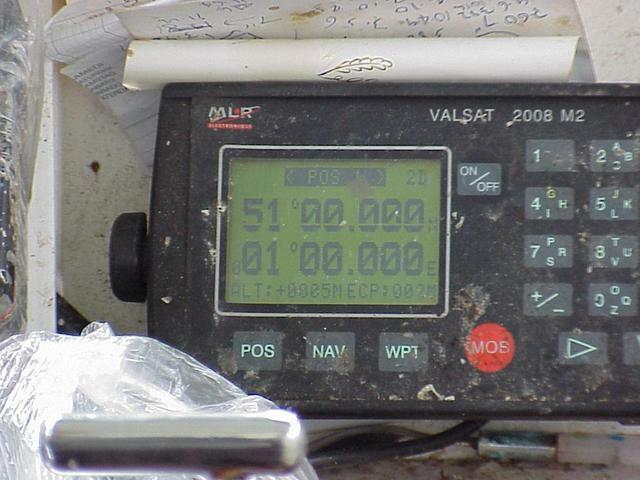 #2: GPS on board the Sarah Louisa, a commercial fishing boat, on the exact confluence point. 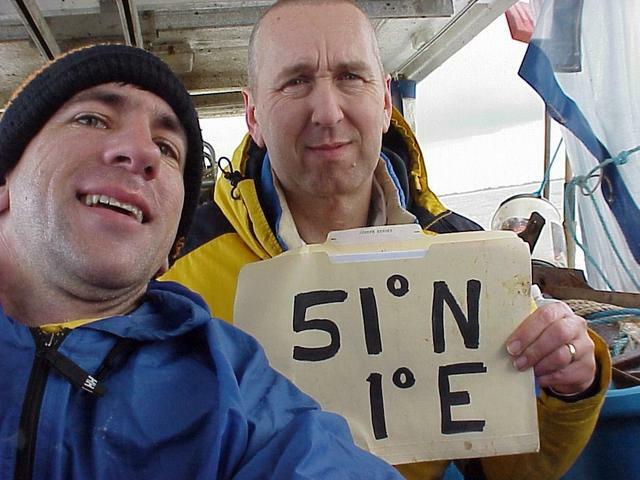 #3: Arm's length self-portrait of Joseph Kerski (left), and Gordon Spence. #4: Panoramic 360-degree movie filmed on board ship at the confluence site, with sound (MPG format). 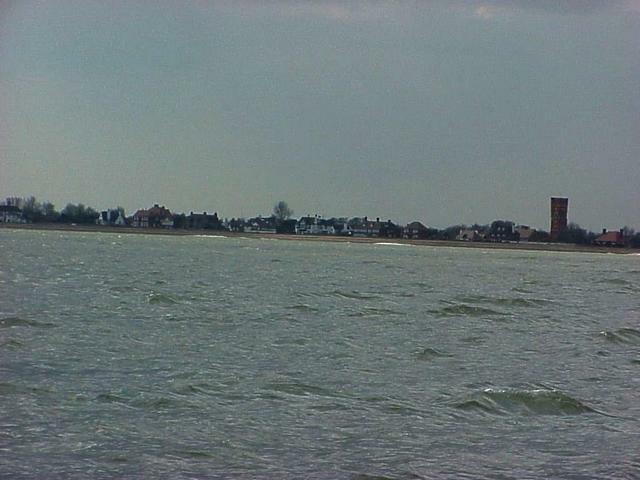 #5: View to the west from the confluence toward the town of St Mary's Bay. 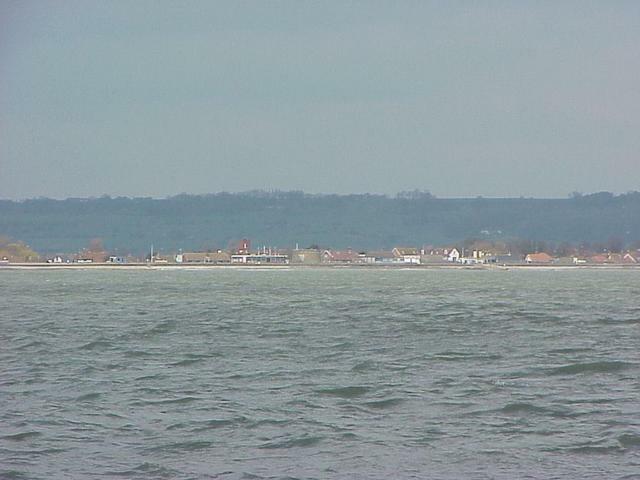 #6: View of the wake of the Sarah Louisa and the famous white cliffs of Dover to the northeast from the confluence. 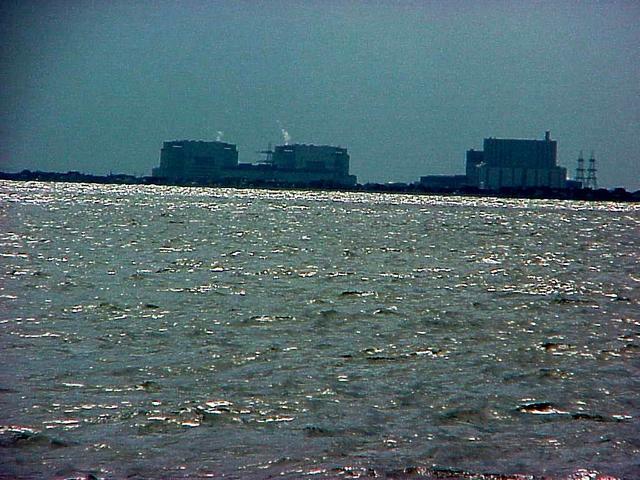 #7: View toward the southwest from the confluence, at the Dungeness Power Station. 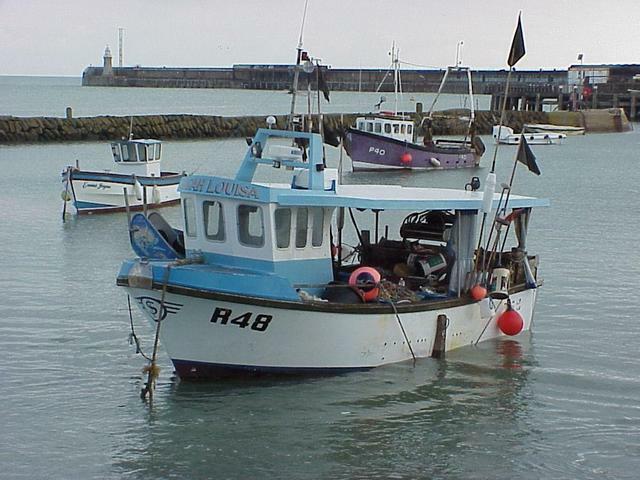 #8: The commercial fishing boat Sarah Louisa after sailing on it to the confluence point. 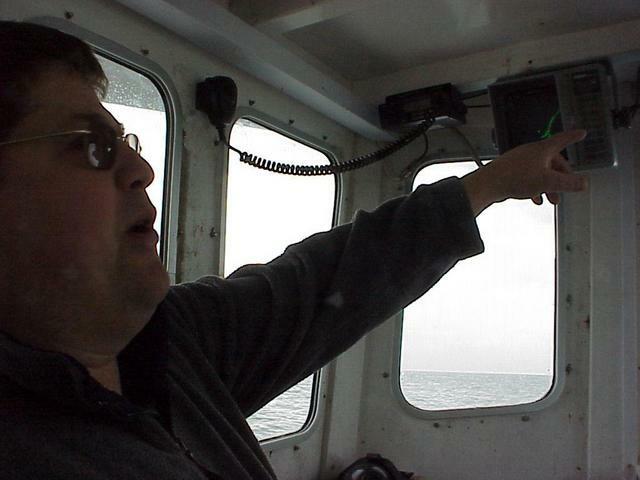 #9: Dave Turner, commercial fisherman and captain of the Sarah Louisa, points out some of the electronic features of the boat.